Some people find it counterintuitive that we offered the lowest prices for the earliest Form 1 delivery dates. At Formlabs, however, we believe it makes perfect sense to acknowledge those of you who believed in our product and joined us first. In the same spirit, all of our supporters who purchase a Form 1 through Kickstarter will receive extra attention. You not only receive the printer package for significantly less than future customers, you will also receive the same 90-day Form Care warranty we plan to include with future printer sales (details to come). After our Kickstarter campaign ends this Thursday, the Form 1 will be available at a special pre-order discount price of $3299. Once we reach full production, we estimate a significantly higher ongoing retail price. This campaign has shown that thousands of people beyond our office can see the enormous impact the Form 1 will have on 3D printing. Starting in the first minutes of this project, you not only voiced your praise, appreciation, and encouragement, you backed your words with orders of your own Form 1! 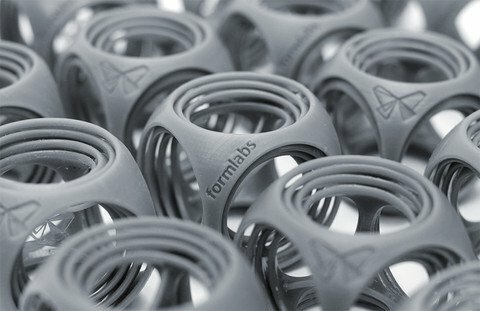 The Formlabs team is simply amazed how you have come together to provide a whopping $2.5 million (and counting) to help launch our production lines. Despite our small staff, you make our “Form Family” more than a thousand strong. We know that your support doesn’t end here because the next chapter of this project is just beginning. Not only will you be the first to put our printer to work in your creative endeavors. You will also play a special role in our team as you provide input before and after you receive the Form 1. We believe that even with the best plans, no company or project is complete without the feedback of customers, especially early adopters like you. With your help, we will constantly improve the Form 1 to be one of the most powerful tools in the world for creative production. In the coming weeks and months, we will regularly engage you as our earliest and most committed supporters. We want to know about your plans for the Form 1 as well as your concerns and ideas. We want to see your jewelry, architectural models, engineering prototypes, and pieces of art. But we also want to learn about what can and actually does go wrong so that together we can come up with the best solution. We will be in touch with you with important communications and we hope to personally speak with as many of you as possible. Our team has already found enormous value in your feedback on Kickstarter as well as in person at Maker Faire and the 3D Printshow. We’ve enjoyed the conversations we’ve already had with many of you, and we look forward to even more. Thanks for your patience as we address your comments and questions. The Form 1 is already the best 3D printer available for your desktop. With your in-form-ative help we will make it even better. Welcome to the team!